Machine and evaporator units are the heart of a Flexbar installation, the refrigerated sections are connected to these. To ensure that lighting and/or locks operate centrally, you will need to select the type of machine or evaporator unit with the Central Electronic Locking System needed. Pass-through sections work with a special machine or evaporator unit fitted with a Flexbar designed front and back. where applicable with Central Electronic Locking System. From now on your customer can enjoy the benefits of dual temperature zones, essential flexibility when space is limited. The new feature creates two separate temperature zones making them perfect for storing a range of both beer /soft drinks and wine. 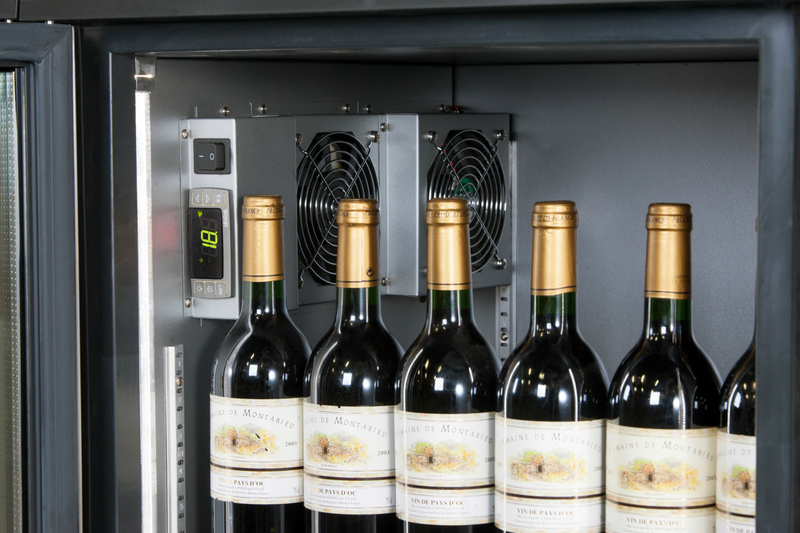 For example you can choose one temperature for red wine and another for white - or one temperature for charactered beers and another for light beers.